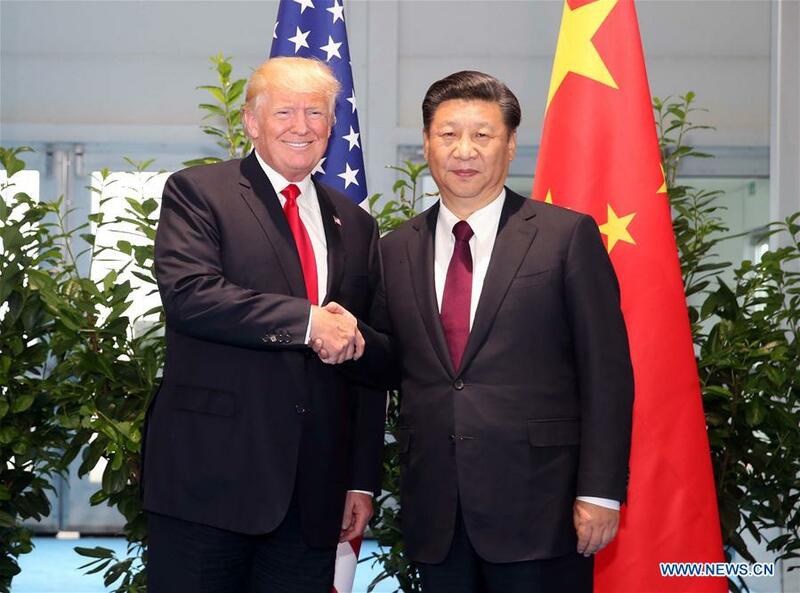 In the last three decades, political leaders in both Beijing and Washington have periodically miscalculated over the trade portfolio but eventually, tensions were ironed-out and two-way trade flows advanced. Many nervous executives and political leaders around the world hope that cooler heads prevail, again. When the Chinese leadership cracked down demonstrators on Tiananmen Square in June 1989, Washington put Beijing’s bid to re-join the General Agreement on Tariffs and Trade (GATT) – succeeded by the World Trade Organization (WTO) in 1995 – on ice until early 1991 before they picked up again. China returned to the talks in 1995 but its bid to join the WTO, however, was not completed, until 17 September, 2001, and formally joined the global body on 11 December 2001. Bipartisan political support on Capitol Hill, strongly supported by top US business and finance leaders, facilitated China’s entry to the WTO with the country’s potential 300-500 million middle-class consumers the new lucrative market for US goods and services exporters the big gain. In addition, Beijing committed to continue opening up its economy to foreign competition and to adhere to global trade norms. The final China-WTO entry deal included stringent transition terms (up to 15 years) for Chinese exporters and Beijing also had to agree to an average tariff schedule of 9 percent, down from 17 percent, and agree to tougher intellectual property protection terms and to less generous disciplines for domestic farm subsidies, than granted to other developing economies. In return, China secured market access to most of the world’s economies, and its membership in the WTO spurred huge inflows of foreign direct investment and sparked a boom in Chinese exports. What makes the latest confrontation different, however, from earlier ones is not only the magnitude of the punitive measures on the table – and the potential systemic adverse spillover effects for global trade and finance – but also the rapidly changing and unpredictable economic and political power dynamics between the world’s two biggest economies. But this latest clash is far more than just a big trade dispute over China’s alleged “theft of American intellectual property and forced transfer of American technology,” as declared by USTR, and which has been on-and-off a recurrent trade problem for decades between the two nations. Foremost, both President Trump and his Chinese counterpart, Xi Jinping, are politically tough leaders and neither is eager, or likely, to blink first anytime soon. Being tough on China over trade is politically popular in many parts of the United States, especially in a mid-term election year, and a sea change from the early years of this century when support for free-trade and globalization dominated the economic agenda. The idea of an early retreat by the Chinese President is also not likely given the power shift dynamics since China became a full member of the global trade order at the end of 2001. China is now the world’s biggest exporter, has the world’s largest foreign exchange reserves ($3 trillion), and has beefed-up its defense capabilities, and since the last global financial crisis moved to expand its domestic consumer market and lessen its heavy dependence on export-led growth. Moreover, with the “Made in China 2025” industrial policy announced back in 2015 (by the country’s powerful ruling State Council) to transform the nation’s industrial base into a high-tech, value-added economy makes it very difficult for the leader of the ascending global power, Xi Jinping, to concede ground in the showdown with Trump. The leapfrog challenge to the longstanding US-led leadership in high technology coupled with and the geopolitical challenge to US supremacy – not only in the western Pacific but beyond – was not foreseen by many China analysts to emerge before 2040 and perhaps not even before 2050. But a closer perusal of research data on the increasing amounts of funds plowed by China into basic R&D, and the number of key industries (10) it has designated as “strategic” indicate China’s intentions had been clear and in the public domain all along. The industries listed included advanced information technology, robotics, aircraft, and components, to new energy vehicles, to new materials and pharmaceuticals and advanced medical devices. The acceleration of the China 2025 policy as a national priority, coupled with Xi Jinping’s absolute consolidation of power, and his pursuit of the ambitious one belt one road initiative, set off alarm bells in Washington, and for that matter in other key capitals including Tokyo, Brussels, Berlin, London, Paris, and New Delhi, that Beijing was surging ahead with its power challenge on all fronts. The US National Science Foundation’s Science and Engineering Indicators 2018 report published earlier this year concluded that while the US led the world in R&D expenditure at $496 billion, or 26 percent share of the global total, China was a decisive second with $408 billion, or a 21 percent share. “China has grown its R&D spending rapidly since 2000, at an average of 18% annually. Its focus is geared primarily toward development rather than basic or applied research. During the same time frame, US R&D spending grew by only 4 percent. Although emerging economies start at a lower base and therefore tend to grow much more rapidly, China’s growth rate is exceptional,” the NSF report noted. John Zarocostas may be reached at info@ip-watch.ch. "Analysis: Move To Contain Global Challenge By Ascending China At Play In Escalating Trade War Between Washington And Beijing" by Intellectual Property Watch is licensed under a Creative Commons Attribution-NonCommercial-ShareAlike 4.0 International License.